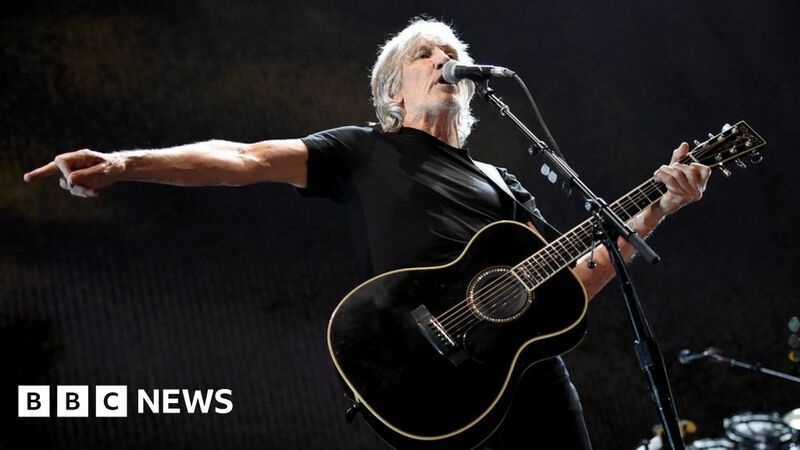 Pink Floyd star Roger Waters says he hopes to carry out more rescue missions after chartering a jet to bring two stranded foreign boys out of Syria and reuniting them with their mother. Waters flew a human rights lawyer and the boys’ mother to northern Iraq to pick up the pair, aged seven and 11. The Trinidadian boys had been abducted and taken to Syria by their father. Waters told BBC News it was his first such trip. “It’s the first time, but I hope it won’t be the last,” he said. Seven-year-old Ayyub Ferreira and his brother Mahmud, 11, had been in Syria since being taken there by their father, an Islamic State fighter, in 2014 or 2015. The father is thought to have been killed in 2017 and the boys were then abandoned by his Belgian wife. They were found by the Kurdish-led Syrian Democratic Forces and taken to a refugee camp in northern Syria. The guitarist got involved after being told about their plight by Clive Stafford-Smith, a lawyer and founder of human rights charity Reprieve, who helped track down their mother Felicia in Trinidad. The rock veteran helped persuade the Trinidadian government to issue travel documents for the boys and paid for the jet and crew, who set off at the start of this week. “We all flew off to Irbil in northern Iraq and did a lot of hand-shaking and meetings with the minister of foreign relations and the governor of the state, and eventually the rescue team set off across the border with all the permissions,” he said. The boys were in good health, he said. “They looked well fed. They are obviously startled, stunned. You can imagine how hard it is, particularly for the seven-year-old, to see their mother again. Waters has been an outspoken critic of Western intervention in Syria and elsewhere. He said he wanted to help because anyone who ever sees suffering children on TV wants “to leap through the screen and gather them up and feed them and save them from harm”. He said: “I’m privileged enough to at this point… to have the time because I’ve just finished a two-year tour and suddenly I’ve got some time to stop for a bit, so to be able to use some of the time getting these two kids out is great. Kurdish forces have rounded up hundreds of foreigners suspected of fighting for the IS group, but Stafford-Smith says they are also holding more than 1,200 children. At least 10 are British, he says. The Kurds have repeatedly called on their home countries to take them back, but most governments have refused to do so. “These are children we have to look after, and the countries their parents come from should be the countries that are looking after them,” Waters said. Ayyub and Ferreira Mahmud are currently in London before travelling home to Trinidad.